SNAFU! : The Murphy Challenge...are they serious? The Murphy Challenge...are they serious? The cause is awesome. The meaning behind the challenge undeniable. But are they serious? All this with a weighted vest and you have some people claiming sub 30 minute completion times? 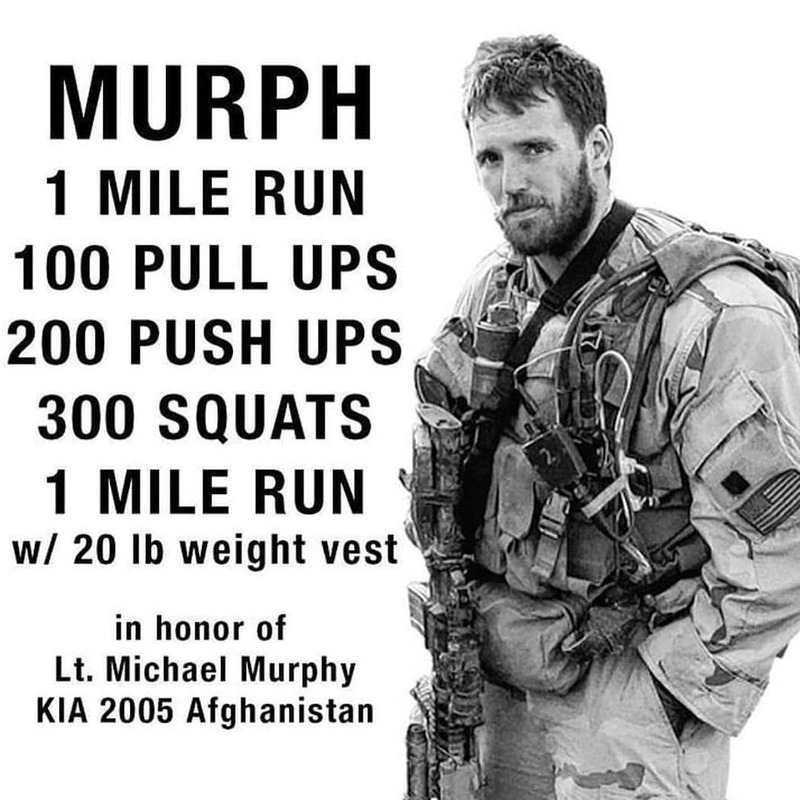 I hear (or rather read) that Murph was a PT stud and Hard To Kill Fitness (the guys behind the challenge) made a ball buster. Maybe next year they can emphasize a bit more honesty and a lot less bluster for the event roll out. It's an admirable thing they did. 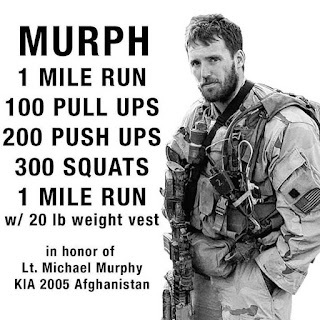 Maybe Marine Corps public relations bubbas can do something similar honoring fallen Marines next year...but with a more reasonable fitness test.